The Canik 55 Stingray is part of a line of such pistols imported largely by Century. The pistols are offered in a variety of colors including a matte chrome, an off-chrome color dubbed Titanium, and the ever-present OD green or tan. We've got an all black model on hand here, pictured below. On the surface, the Canik looks like a slightly pug-nosed CZ-75 compact, which is a fair description really. The frame rail gives the pistol it's "pug nose" look, though not all of the Turkish built CZ type pistols have it. The slide is also somewhat reshaped, with a flatter top "spine" running the length of the slide. The biggest departures are in the controls however, as the image above shows. 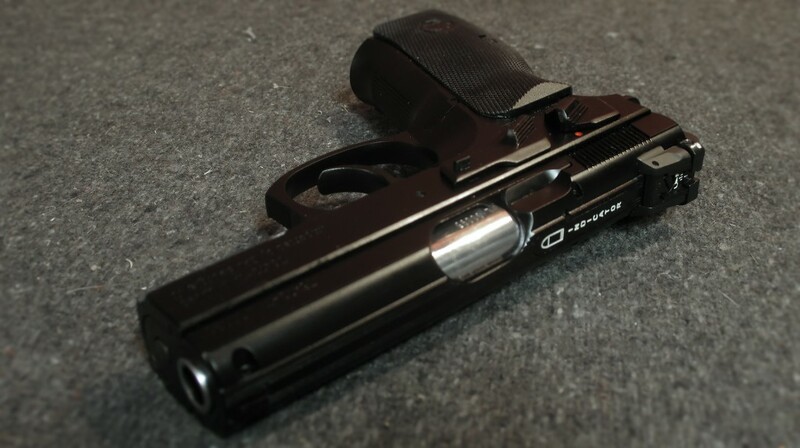 All ambidextrous, with safety and slide stops shaped more like the Jericho series of pistols (now sold under the Magnum Research "Baby Eagle" brand) than the original CZ style. 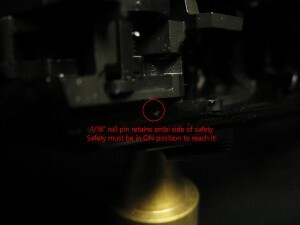 The pistol also ships equipped with an all steel click-adjustable target sight. The two magazines included with the gun, which are 13-round capacity by the way, are Mec Gar made and of expected high quality. Mec Gar is really the go-to for mags for CZ, Beretta and numerous other pistol designs and often times they cost half of a factory magazine. For those unaware, Mec Gar is also the OEM for many manufacturers including Sig, CZ, Beretta and some 1911 makers. I would fully expect any CZ75 type magazine (B style, not old style) to work in these pistols just fine. So how do those fancy ambi controls work out? Not too shabby, but there are a few issues that jumped out to me immediately. The thumb safety is much more difficult to engage than to disengage, mostly due to the shape of it compared to the axis it rotates on. Both directions mechanically work the same, it's just the lack of leverage pushing the lever up versus sweeping it down. 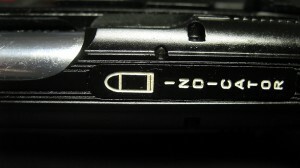 The slide release is a welcome departure from the CZ design and is much more accessible, though the hump on the thumb safety does block it to some degree. To round out the controls, the mag release is essentially CZ style and a bit on the heavy side spring wise, but otherwise perfectly fine. 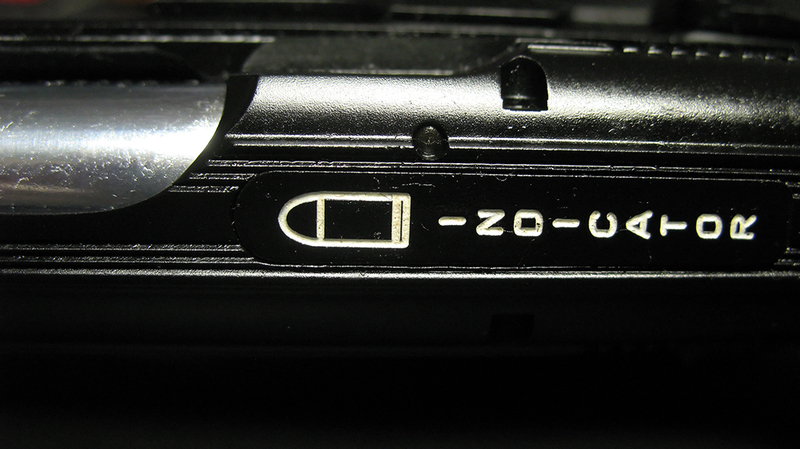 That leaves the trigger, always the hot talking point of any gun review. In single action mode, the letoff is a surprisingly crisp and relatively smooth 4.75 pounds, definitely well within my realm of acceptable and bordering on pretty good. A little wearing in or polishing would make the single action very nice actually, but I'll get to that later when we discuss the internals. 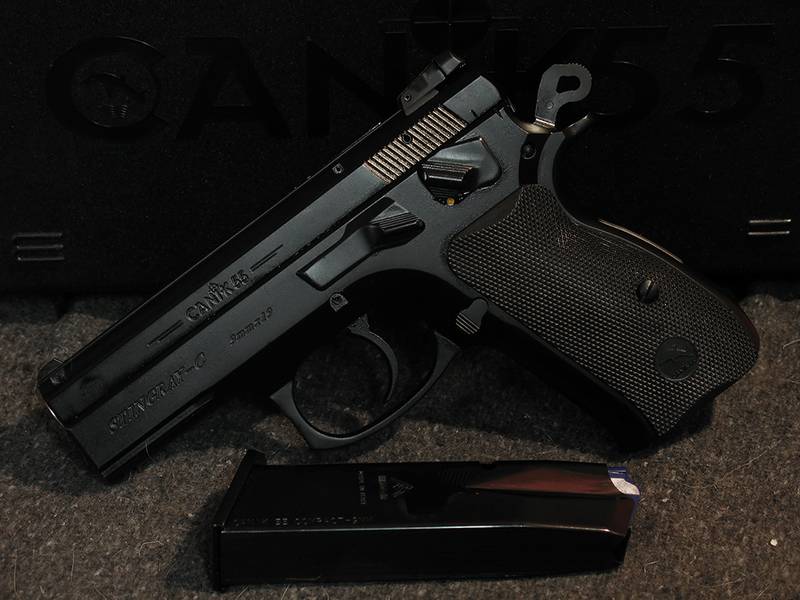 Among the many CZ-75s I've worked on in the past several years, the Canik has a superior single action to any of them in regards to smoothness and lack of creep. The double action is an entirely different beast and it will give your trigger finger a real workout. I can't gauge it because it's beyond the range of my digital gauge, which means it's certainly in the neighborhood of 12 to 14 pounds. The feel of the DA leaves much to be desired unfortunately, as it has very little takeup and almost all of the pull must be overcome in one "hump" at full spring pressure. It's a far cry from a smooth revolver double action and seems to take the CZ's shorter break in DA to an uncomfortable extreme. It's also not especially smooth, but isn't gravel road either. If you want to do some tuning inside the gun, you have your work cut out for you. CZ designs are already less than user friendly to disassemble, requiring multiple slave pins to reassemble after a full detail strip. Canik's added ambi controls complicate matters further by involving roll pins and spring retainers on the safety and slide stop respectively. This isn't really a technical review, but I wanted to bring this up as something to be aware of. Not strictly dealing with the internals, but the shaft of the slide release does protrude about 0.1" beyond the surface of the ambi side. It aids in disassembly, but also is a sharp edge sticking straight out to catch on things. For only $329 as of this post, the Canik55 represents a strong CZ derived pistol that only really suffers in the looks department. The quality is there in materials and machining; the design is sound if troublesome to disassemble, and the ambi controls are a welcome departure from its roots. Since this isn't a range report I can't comment on durability or reliability, but given the track record of other Turkish made CZ type pistols I would expect both to be excellent. If the Canik55 doesn't appeal to you in particular, take a gander at the SAR series and other members of the Canik product line. There are a lot of solid CZ clones out there for modest prices and they're a great way to get your hands on a CZ for cheap. Don’t Buy Hype: Muzzle Brake Edition » « Tan is the New Black?